SAR 4 including 12 SAR shipping. The tplink ac2600 wi-fi range extender re650 Router is manufactured by TP-Link and was added around February 2018. This version of the Router comes in Color : White , Processor Speed GHZ : 2.4 GHZ. 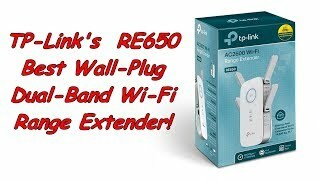 TP-Link RE650, Wall-Plug Dual-Band AC2600 Wi-Fi Range Extender.